All you have to do is buy and register a Red 4Pre or Red 8Pre interface any time after January 18, 2017, and a Pro Tools | DigiLink I/O License can be placed on their iLok free of charge. Once customers register a Red 4Pre or Red 8Pre interface, they have four weeks to access their Pro Tools | DigiLink I/O License. This offer follows the availability of Red 8Pre, which Focusrite says is one of the most compatible audio interfaces of all time. 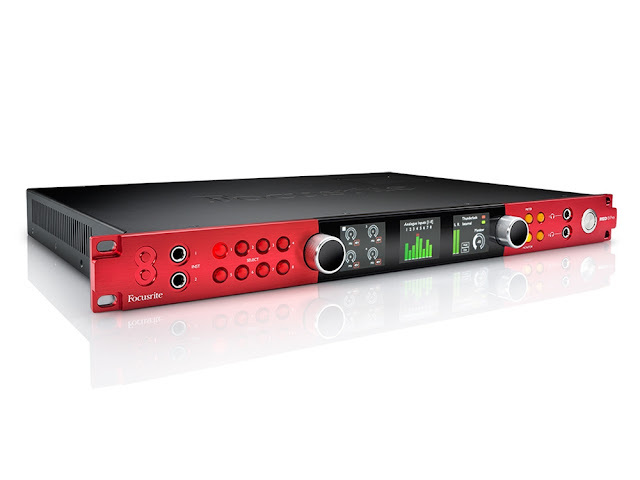 The Red 8Pre includes two front-panel high-headroom instrument inputs, dual Thunderbolt 2, dual Pro Tools | HD DigiLink and Dante network audio connectivity. In addition, 64 inputs and 64 outputs (including a total of 16 analogue inputs and 18analogue outputs) and eight of Focusrite’s specially developed, digitally controlled mic preamps answer the need for more microphone inputs and a higher I/O count. The latest feature to be added to Focusrite Control for Red 8Pre, coming soon for Red 4Pre, is the Input Routing tab. This allows for the default channel routing table to be rearranged so that all hardware input signals required can be accessed and sent to a DAW in a user-defined order. Shop Focusrite Red 4Pre and Red 8Pre today, or Call / Live Chat and RSPE Sales Specialist for more information.